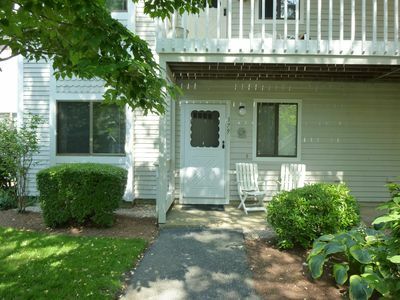 Upper level end unit at the beautiful Ocean Edge Resort on Cape Cod in Eaton Village! 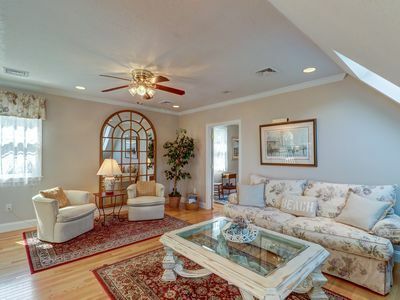 Very nicely furnished and decorated with cathedral ceilings in every room and an air conditioning unit. 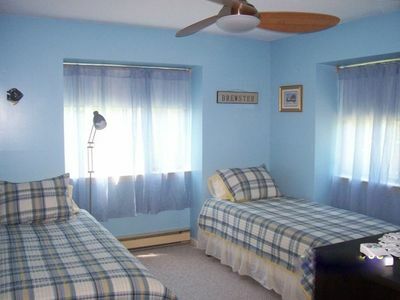 Two large bedrooms (Olympic queen and two twins), two full baths, Cable TV, two TVs. free long distance phone. View of two holes on the Nicholas golf course. WiFi available! The first question is always what is there to do? I always answer that there is something for everyone. 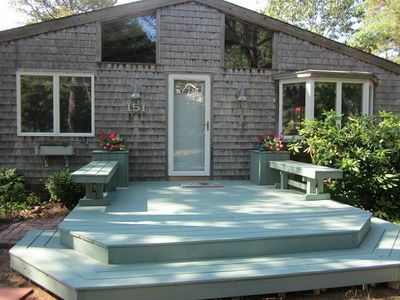 We are close to all of the Brewster beaches as well as many local restaurants. Throughout the summer there are weekly activities for families at the resort such as movie nights and kids activities going on regularly throughout the season. 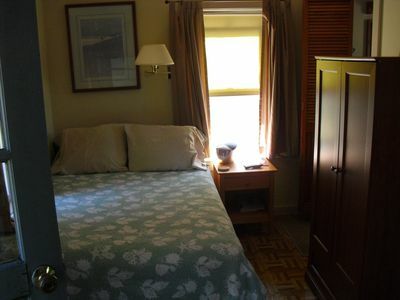 We are members of the resort so included in our rental is the use of the fitness center & tennis court. The pools and Jacuzzis on the resort property can be accessed for additional fee . 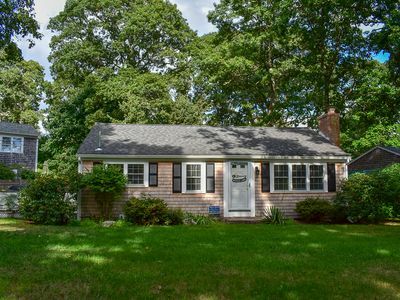 There are also basketball & volletball courts and access to the Cape Cod Rail Trail bike path that runs 28 miles from South Dennis to Wellfleet and runs through the National Seashore. It also is a quick bike ride to Nickerson State Park. Bike rentals are always available at the resort or there is a local bike rental company nearby. The resort has really done some renovations in the past few years. They have added a new Ballroom in mansion and there is a delightful terrace with a full stocked bar overlooking the Ocean. I would highly recommend checking it out! We are not golf members so the golf course would be off limits however the nearby public Captain's Golf course is a convenient option. There are two 72 par championship courses. For a challenge play the Port course with a Slope 131 Rating 72.1. Our neighbor swears by it and for the beginner, there are lessons available. 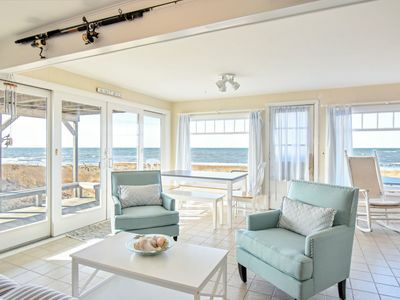 We keep the condo stocked with fun activity ideas, the Cape week section of the local paper and restaurant menus - JT's is one of our favorites located right at the entrance of Ocean Edge and 6A. 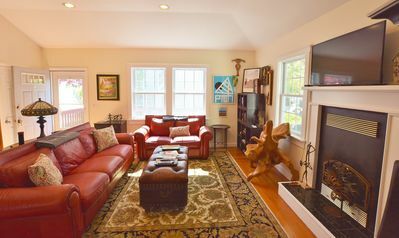 While you are here go to P-Town or Hyannis for whale watching or rent a boat excursion or go sport fishing or kayaking. 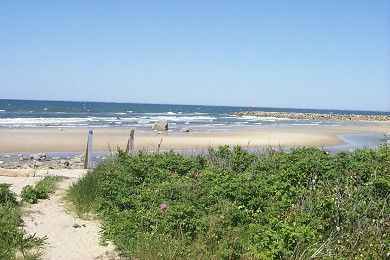 Take the ferry from Harwich to Nantucket (which is one of my personal hidden treasures) or fare the crowds in Hyannis to visit Martha's Vineyard. 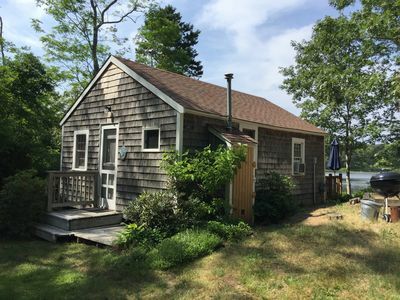 There are logs of previous renters experiences and recommendations of everything from restaurants to hidden beaches in Chatham. Right around the corner is the field where the Brewster Whitecaps play - many major leaguers have started right here on the Cape. Another newer edition to the Cape is the Inflatable Park in West Yarmouth on Route 28. 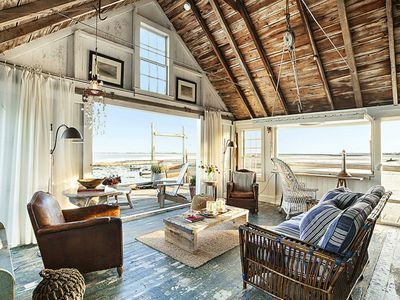 To note there is another flea market in Wellfleet if that is your thing. My son absolutely loves going down all the slides and bouncing in the many inflatable bouncy houses. Adults are welcome and you will be required to wear socks. After we go through all of the things to do the next question is always where is the supermarket and package store? There are many package stores in the area and the supermarket is located a short drive either in Harwich or Orleans. I recommend visting both towns. 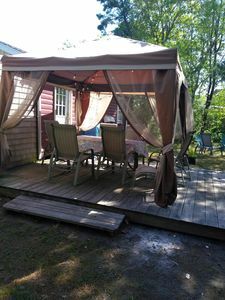 Orleans has a great downtown Main Street and Harwich has bumber boats, go carts, and trapolines as well as an A&W Root Beer for burgers and milkshakes. Then if you are going to Harwich, you have to go to Chatham for the shopping and experience. 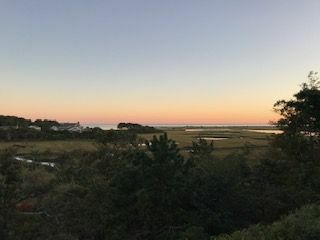 Chatham Bars Inn has one of the best views and is a must for cocktails on the beach. Most of the time you will find hundreds of seals down by the lighthouse. There are many local live theaters in the area that feature a wide variety of local as well as famous talent. The Cape area attracts many different people from all different cultures and there is always some type of farmers market or artisan display going on. On 6A in Brewster there is Drummer Boy Park which has a new playground for kids and a dog park if there isn't an event going on. Many artisans set up shop during the season and on Sundays there is a Town concert. If hiking is your thing then the Museum of Natural History on 6A in Brewster is the perfect choice. There are trails that lead through the marshland and to the ocean. There is also a cool little museum and different activities for the kids going on during the season. While you are out cruising 6A Brewster make sure to stop by the Brewster General Store to browse their unique inventory and most importantly to get ice cream. As you can see there really is something for everyone. We do take the time to sit with each of our guests and plan out their vacation. We also have a complimentary subscription a local magazine so you can bring a bit of the Cape home with you. 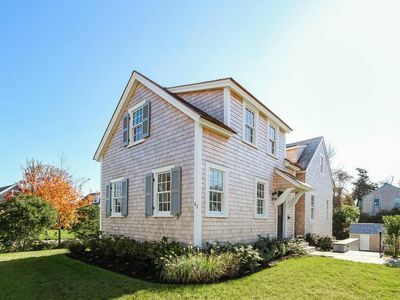 So we hope you choose to stay in Brewster when you are planning your next trip to the Cape. Beautiful 950 sq. 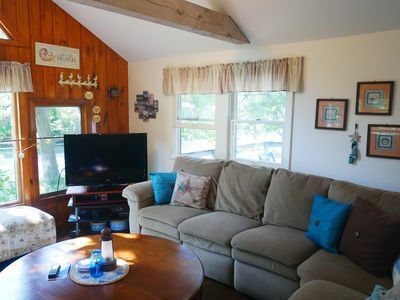 ft. "cottage" in the center of town with onsite parking! 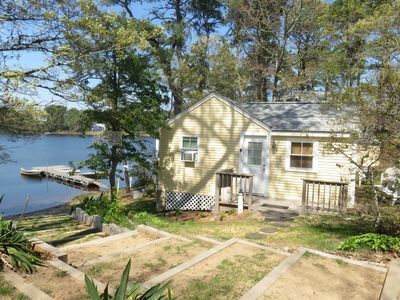 Captn Jack's Lux Waterfront Cabins Designer Reno - post Labor Day avail! Tennis anyone? Beautiful, brand new construction with 8 bedrooms, 8 full baths and 2 half baths, that can sleep up to 20 guests. 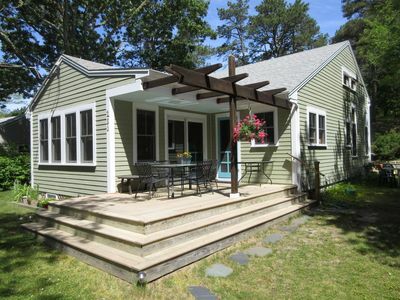 WELLFLEET -Near town and bay beaches! 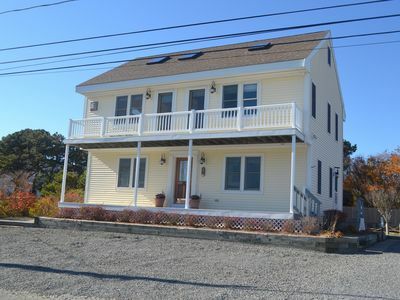 #523: Beachfront on Skaket Beach w/ beautiful bay views! 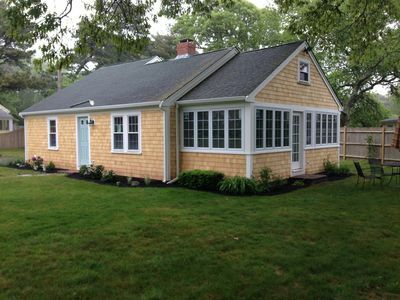 Seaside Serenity-Brand New 3 bedrooms sleeps 7 in the heart of the Village-Walk to beach! 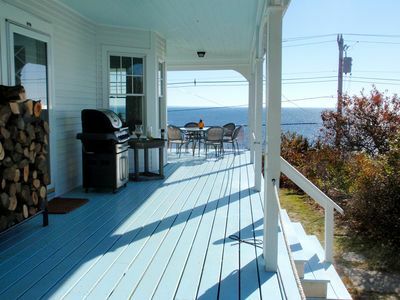 #623: Stunning Ocean Views from Expansive Deck! Best Location in Chatham!